“My inspiration is twofold. The first is technique based. Glass is a very technical medium. From the physical skill-set to the chemistry of working colors, this aspect of the medium fulfills my desire to learn, practice and master. The second is my passion to express myself through glass. These two areas must exist in equal proportions. Without the technical side, I am unable to express myself. Without the passion, there is no drive to continue the path towards mastery. Starting with sized rods and tubes of different colors, and by lampworking borosilicate glass, also known as pyrex glass, Dan creates each work of art. 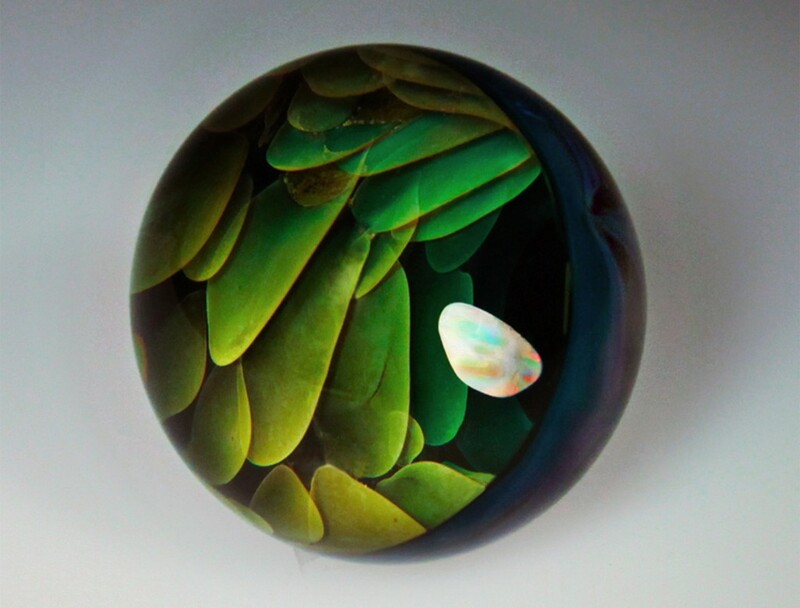 This form of glassblowing utilizes a torch rather than a furnace and allows for the creation of more intricate designs than is typically created from furnace glassblowing. The reduced thermal expansion of pyrex glass allows him to create large, intricate sculptures without fear of cracking.